This is my first trade of the day in the quiet Asian market hours. 4. Both green and red bars closed below yesterday's low. Your suggestion on how I can do better is most welcomed. You do know that lack of sleep is very detrimental to recovery as an athlete. prochargedmopar wrote: You do know that lack of sleep is very detrimental to recovery as an athlete. Good gosh I know this from expierence. I can easily add weight and reps to a lift, but miss one nights sleep and I can barely lift my warm ups. Sorry, but I will no longer be posting as I have been asked to leave. Which is fine with me since only MO gets to decide who life is worth saving or worth making better. Last edited by jrtrading on Tue May 24, 2016 1:50 pm, edited 1 time in total. Why would you be asked to leave?? Mate! WTF! Are you serious? Why on earth has someone asked you to leave? The newbies and gumbies (of which I am card-carrying member of both groups) are all here to learn - no matter who is giving guidance/help. Was really enjoying yours posts. I am really disappointed. I was hoping someone could point me out to what the rat-trade is. Is this from TRO's "DRAIN THE BANKS - LIKE A RAT" or is it something else. HAving difficulty tracking this down on Kreslik as I get too many hits when trying to search for it. For what it's worth, If you stay I promise to start posting again...? PeterBerregi wrote: I was hoping someone could point me out to what the rat-trade is. Is this from TRO's "DRAIN THE BANKS - LIKE A RAT" or is it something else. HAving difficulty tracking this down on Kreslik as I get too many hits when trying to search for it. I believe a rat trade is to buy/sell the break of the reversal candle at a new high or low. A reversal candle within 20 pips of the high or low is also valid for entry. 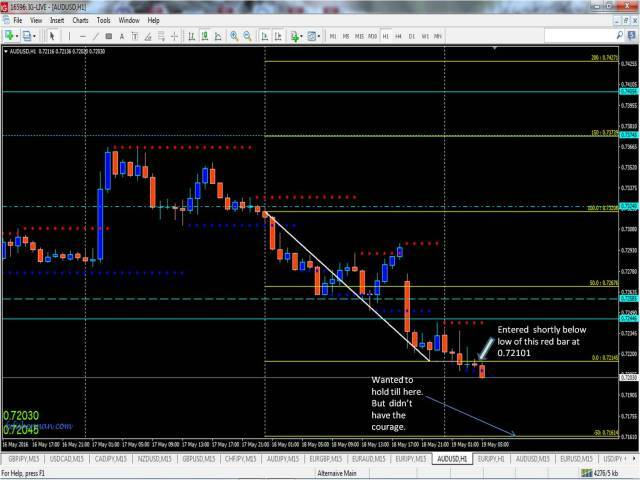 forexjpn wrote: I believe a rat trade is to buy/sell the break of the reversal candle at a new high or low. Thanks forexjpn, really appreciate the response. Do you have any posts that you refer to that also provide some examples? I found this post from bettlebox https://www.kreslik.com/forums/post77660#p77660 that looks like what you're describing. Is bb referring to a rat trade here using "dots" to illustrate it?